Before Ardor, we let ourselves be defined by labels - the athlete, the outcast, the slacker, the overachiever. 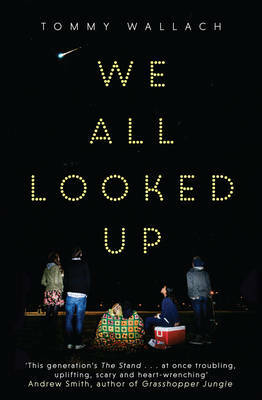 But then we all looked up and everything changed. They said the asteroid would be here in two months. That gave us two months to leave our labels behind. Two months to become something bigger than what we'd been, something that would last even after the end. Two months to really live. A beautiful blue star appears in the sky. It is an asteroid called Arbor, no need to worry it will be passing but all can enjoy the voyage it takes. Thank you to Simon & Schuster for the advance review copy. Loved the idea of the story, thought it flowed well too. However, I just didn't get hooked in, just not enough tension for me.